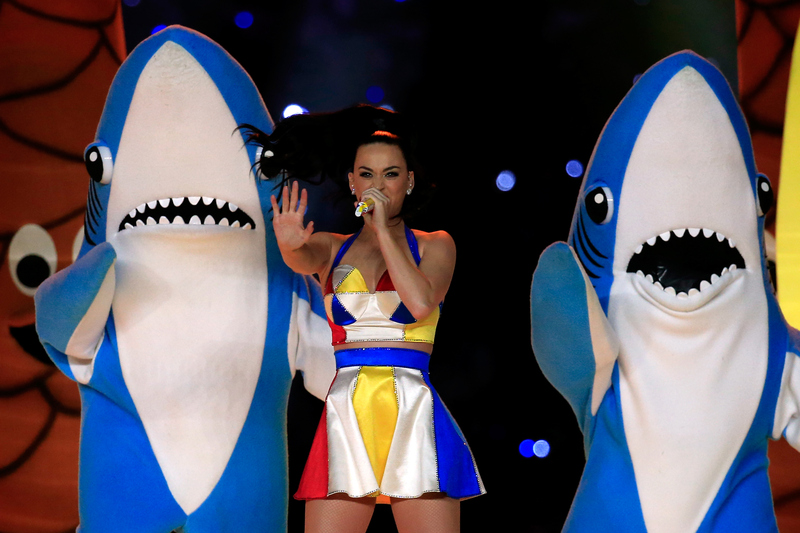 Well, Super Bowl 50 might not have featured Katy Perry and her beloved Left Shark. But the Internet found its Super Bowl 2016 left shark and it's actually quite hilarious. Granted, this version of Left Shark might not satisfy some, but apparently viewers were desperate for a follow-up. As you can see below, there was a "dancing guy" standing near Mark Ronson during Bruno Mars' "Uptown Funk" performance. I think it's safe to say, he was loving every minute of it. I mean, he's bouncing back and forth, he's waving his hands in the air like he just doesn't care, and that smile cannot be wiped off his face. Whoever he is, well, I thank him for bringing even more life to Mars' time on stage. To be honest, I missed him the first time around, but thankfully this is the era where you can re-watch anything and everything. Thank. Goodness. Random dancing guy is definitely making a name for himself across social media, which means soon enough people will do whatever it takes to put a name with his face — and those dance moves. With that, I think it's time to come up with a name for him. Obviously, "Left Shark" isn't the right choice. I have a feeling "Dancing Guy" is going to stick, which might bum him out, because he probably wants something a bit more creative. Well, at least he'll always remember Super Bowl 50. Now, excuse me while I go reminisce about Left Shark.